By offering different heights and widths, Aura Café is able to create waiting room, office space, café and restaurant solutions as a part of our contract seating products. The use of two colours and slim lines helps characterise the interior and gives architects the opportunity to design their own atmosphere with a touch of personality and a colourful approach. 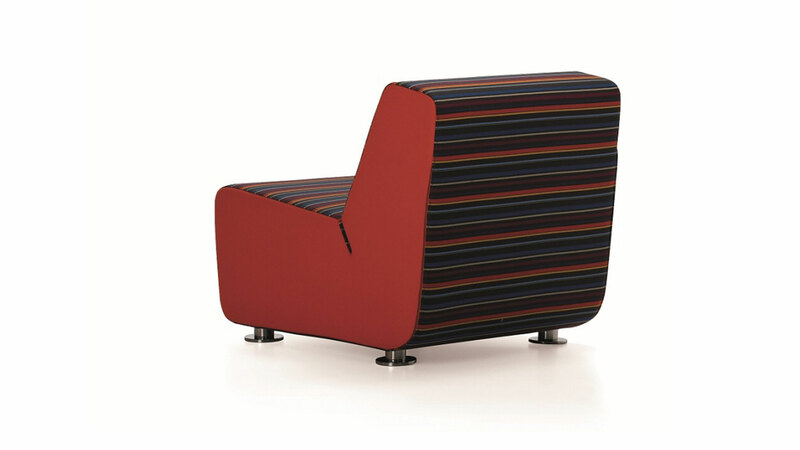 All seating needs are handled by one single design type differentiated by the chromed metal arms and feet, contrasted with colourful upholstery.